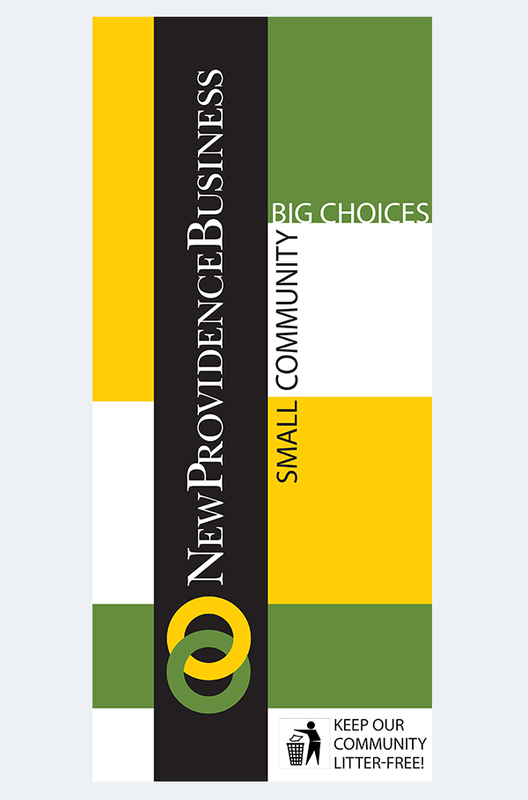 The New Providence business group needed a fresh look. 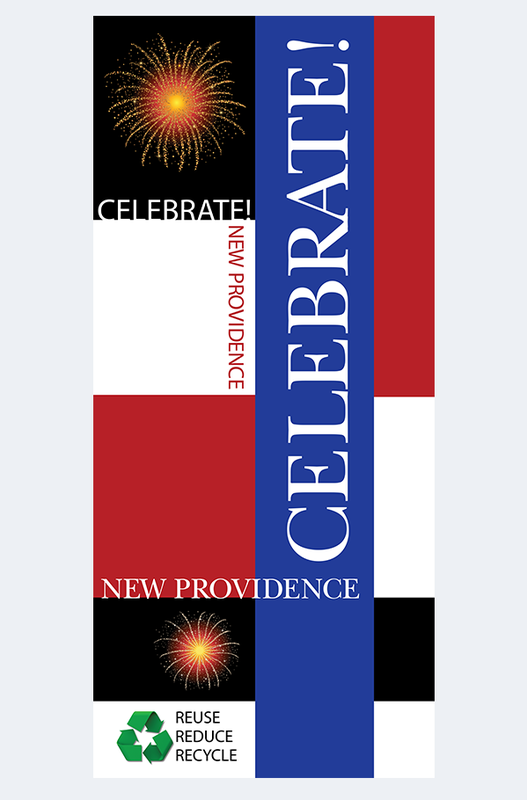 The original name was the New Providence Business and Professional Association. I suggested shortening it to New Providence Business because it was less cumbersome. The interlocking rings represent the town businesses and the community they serve. We hired a copywriter for tag lines, and the client chose “Small Community, Big Choices”. The banner designs grew out of the branding process. 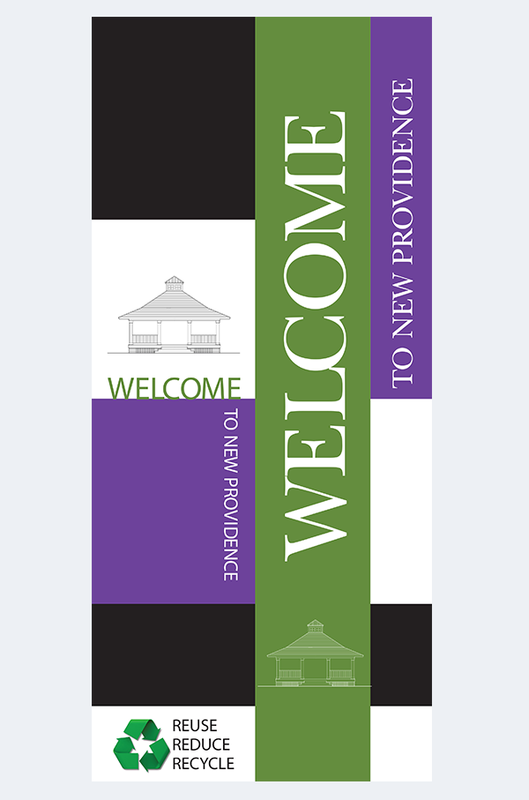 The client wanted colorful, joyful, and original banners promoting our small town, a great place to live and work, and a business group engaged with the community. 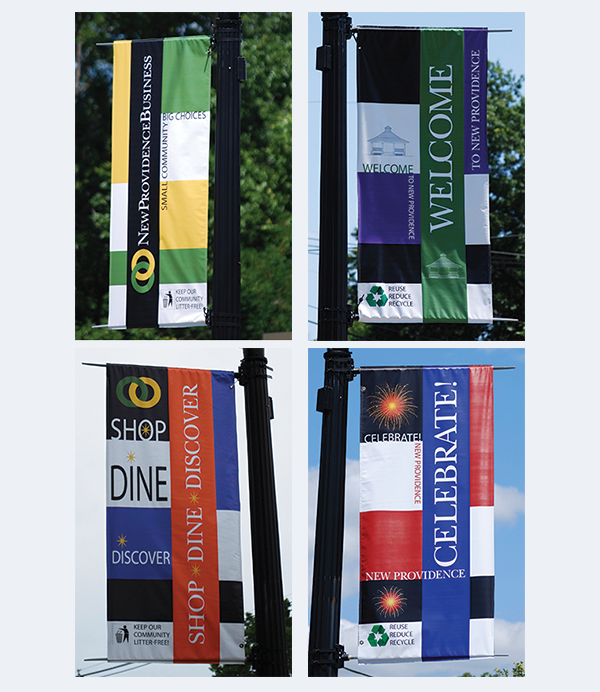 The five banners included a Welcome banner and a Business community banner which stayed up from April-December. The three other banners rotated according to season. Shop, Dine, Discover went up in the early spring, Celebrate went up in the summer around July 4, and Seasons Greeting went up in the mid fall. All of the banners came down during the winter months so they were not damaged. 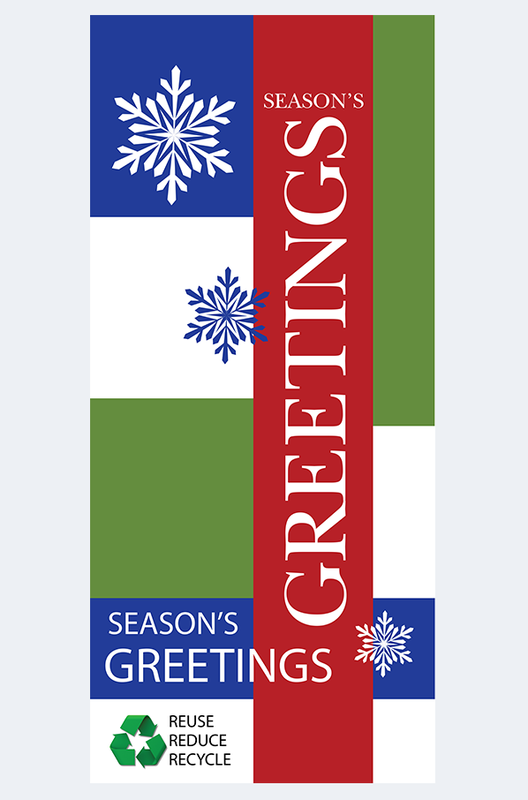 In addition, the town was able to get state green community grants to produce the banners, because we included the recycling and don’t litter logos at the bottom of the banners. It was an all around collaborative effort including the town, the business community and Different by Design.